In our last post we installed the Windows Assessment and Deployment Kit (WADK) for Windows 8.1, along with the Microsoft Deployment Toolkit (MDT) 2013. Now we are going to use the Microsoft Deployment Toolkit (MDT) to build and capture a Windows image. 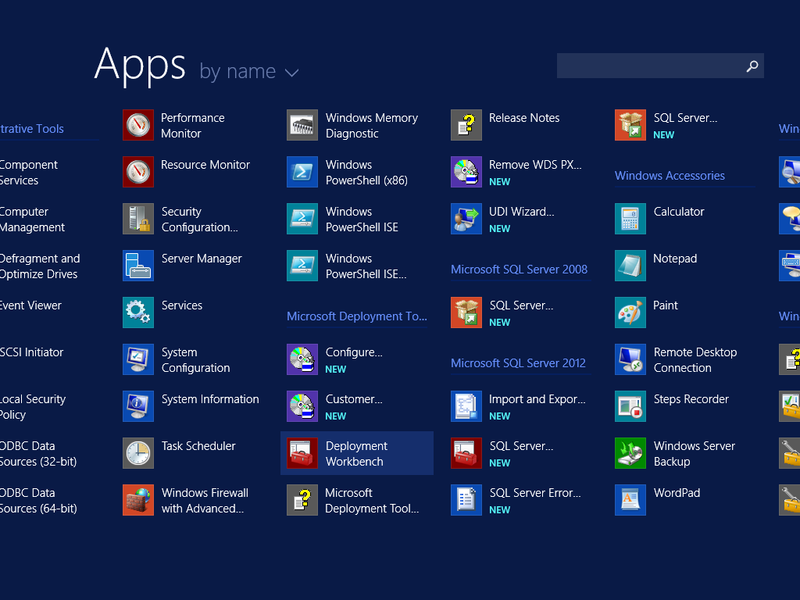 Start by launching the Deployment Workbench. 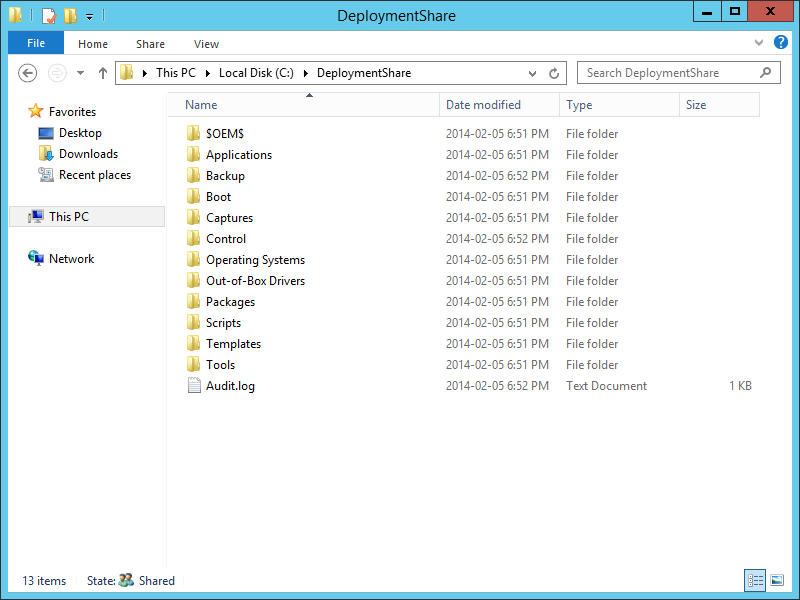 The first thing that we need to do is create a Deployment Share. 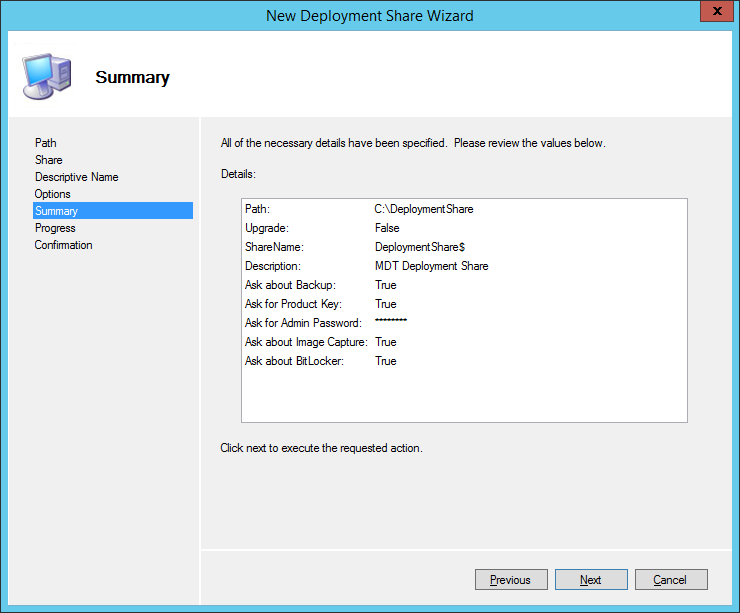 Right-click on Deployment Shares and choose New Deployment Share. 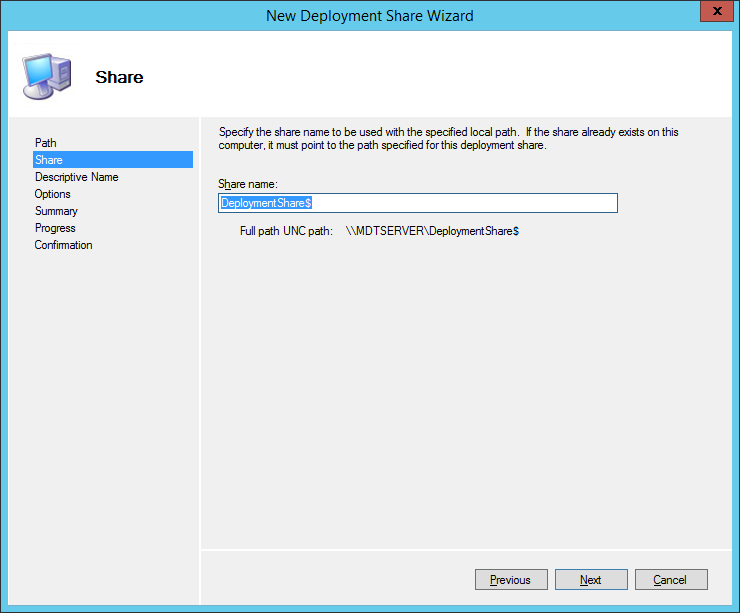 This will initiate the New Deployment Share Wizard. On the Path screen, provide the location where the share will maintain all the files, then click Next. NOTE: If the path/directory supplied does not exist, it will be created. On the Share screen, provide a share name to use for the share when accessing it, then click Next. 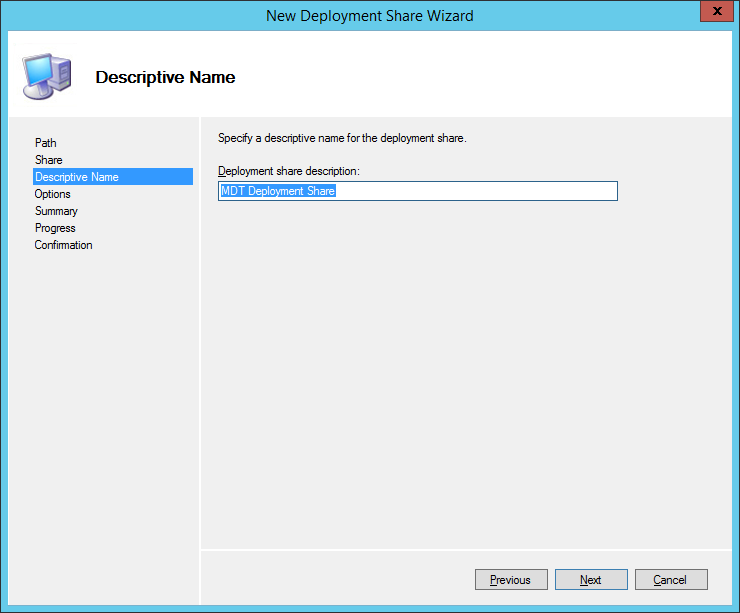 On the Descriptive Name screen, give the share a deployment share description (which will be displayed in the Deployment Workbench), then click Next. 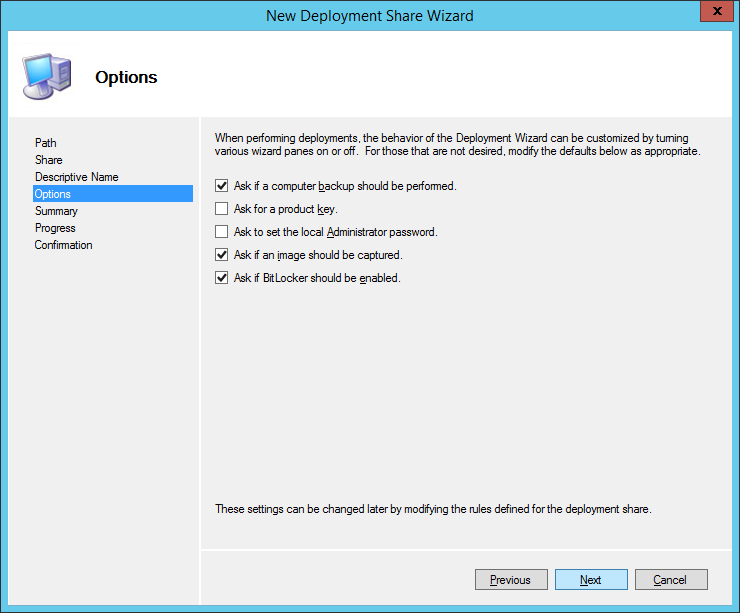 On the Options screen, choose which wizard panes you want included when performing deployments, then click Next. In my lab example, I am going to select all of them, so that I can include everything for purpose of example. On the Summary screen, review the information shown, and then click Next. On the Confirmation screen, once the process has completed, click Finish. 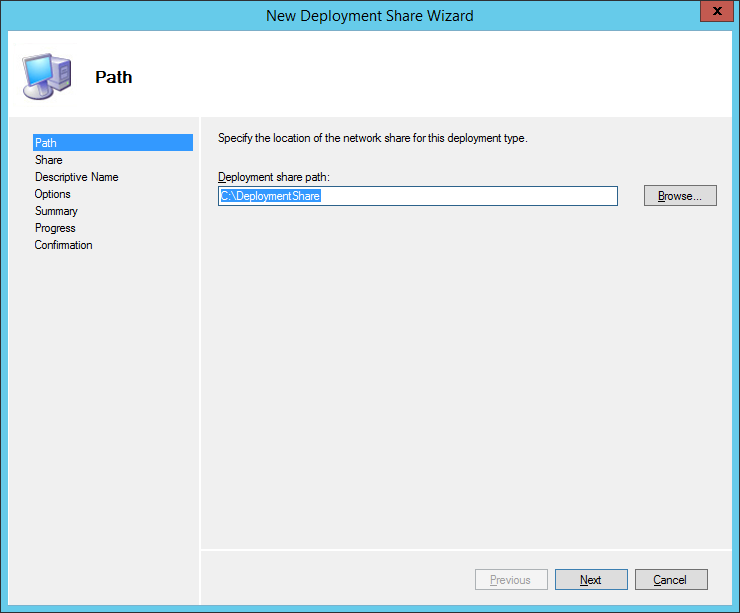 You will now see your new Deployment Share in the Deployment Workbench. Also, if you navigate to the Share directory, you will see multiple directories and files. 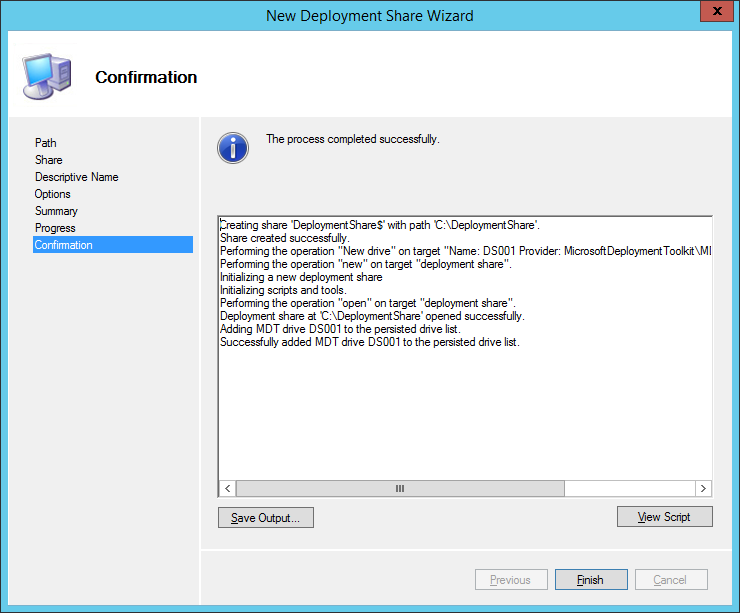 We now have a new Deployment Share ready to begin developing the required Task Sequence to build and capture a Windows image. But first, we need to import an Operating System source files.